I first want to thank the amazing, Nina and of course Erin Watt for allowing me to read an ARC of Twisted Palace. I remember when I first received an email from Nina, asking me if I wanted to give this new book, Paper Princess, a shot. After I read the synopsis, it reminded me so much of Gossip Girl, I knew I just had to read it. That was the beginning of this year, and I can not tell you how happy I am that I said yes. That was the beginning of my love for The Royals. The first book, Paper Princess was epic! Well, let me just warn you, the first 2 books have huuuuuge cliffhangers that will kill you and rip your heart out. So consider yourself lucky to have all three books available now and to be able to read them all back-to-back. Check out my review for Paper Princess HERE and Broken Prince HERE. Twisted Palace picks up right where Broken Prince left off, which I am so thankful for because that ending was cray cray! Reed is being blamed for Brooke's death and all the evidence is pointing to him. Elle knows he didn't do it, but when there is so much evidence saying otherwise, it's hard to overlook it. Back in school everyone is saying talking about Reed and wondering whether or not he actually killed his soon to be "step mom." Obviously this starts to get to Elle and Reed and they want to be able to spend as much time together as possible because even though they know that Reed is innocent, all the evidence is pointing to Reed being the killer. Only problem with them being together, is Elle's resurrected father. He is the god father of Reed and all his brothers, but that doesn't mean that he doesn't know how they all sleep around, and he just doesn't want that for his daughter. There are a lot of other things that go on in here, but I don't want to get to it because I want it all to surprise you like it did me. All I am going to say, MAJOR PLOT TWIST!! I know that this is the last book of the series, but I really hope that Erin Watt decides to do a spin off because I REALLY want to know about the rest of The Royals! I just can't get enough of them! 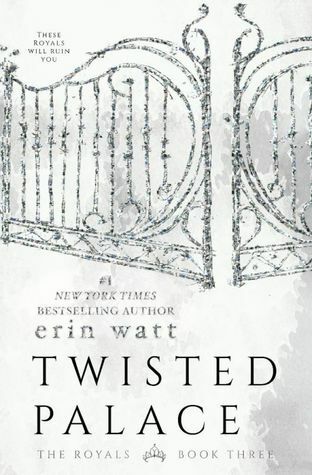 Bravo Erin Watt, you have created an amazing series that will forever be one of my favorites.If you haven't started this series, I strongly suggest you do. It is sooooooo good! NOW GO READ IT! Omg you had me at "like gossip girl." I am 100% here for this.